KUALA LUMPUR (May 20): Palm oil mill manufacturer Dolphin International Bhd expects to raise gross proceeds of RM31.28 million from its initial public offering (IPO). The proceeds will finance its factory extension, research and development (R&D) and working capital needs. Dolphin's IPO involves 46 million new shares at 68 sen each, group managing director Eric Low Teck Yin said in a statement issued in conjunction with the launch of Dolphin's prospectus here today. Low said Dolphin was expected to be listed on the Main market of Bursa Malaysia on June 9 this year. At 68 sen a share, Dolphin will have a market capitalisation of RM150.96 million upon listing. Based on its pro forma earnings per share of 5.46 sen for financial year ended Dec 31, 2014 (FY14), Low said Dolphin was valued at a price-earnings ratio (PER) of 12.45 times. Bloomberg data showed that Dolphin's PER was not far from rival CB Industrial Product Holding Bhd's PER of 11.97 times. According to Low, Dolphin will issue 46 million new shares, of which 15 million shares would be offered to the general public, while 8.25 million units would be earmarked for eligible directors and employees. The remaining 22.75 million shares will be placed out to selected investors. Of the total IPO proceeds, Low said some RM11 million (35.2%) would be used for renovation and extension of its factory while RM6.08 million (19.4%) would be allocated for working capital. A total of RM4 million (12.8%) will be earmarked for establishing a R&D facility while RM6 million (19.2%) will be utilised to repay bank borrowings. 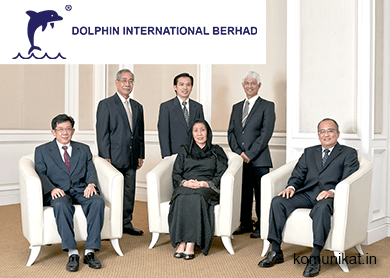 Hong Leong Investment Bank Bhd is the underwriter for Dolphin's IPO.